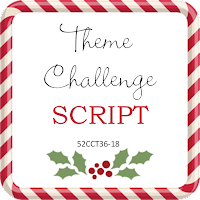 For this week’s challenge, the Crafty Hazelnut’s Christmas Challenge DT, wants you to add a Reindeer. For my card, I found a piece a scrap Christmas paper for my background. Next, I added the Simon Says Stamp HOLIDAY FRAMES Craft Dies sssd111393 and the Leap Of Joy Christmas Reindeer – Penny Black Creative Dies Penny Black 51-062. My card took less than 10 minutes. 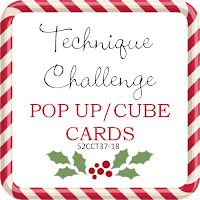 The 52 Christmas Card Throwdown challenge this week is to make a pop-up or cube card. You can find many videos/templates on YouTube, Pinterest and other search sites. You can also buy dies and svg files to easily make these cards. Since I own a Cricut Explore Air, I simply popped in my All Occasions Box Cards Cartridge and made a card that easily fits into an A2 size envelope. After I cut out the files, I assembled the card and added a couple of glitter stars, and Sue Wilson’s Creative Expressions Festive Collection Let It Snow Die. 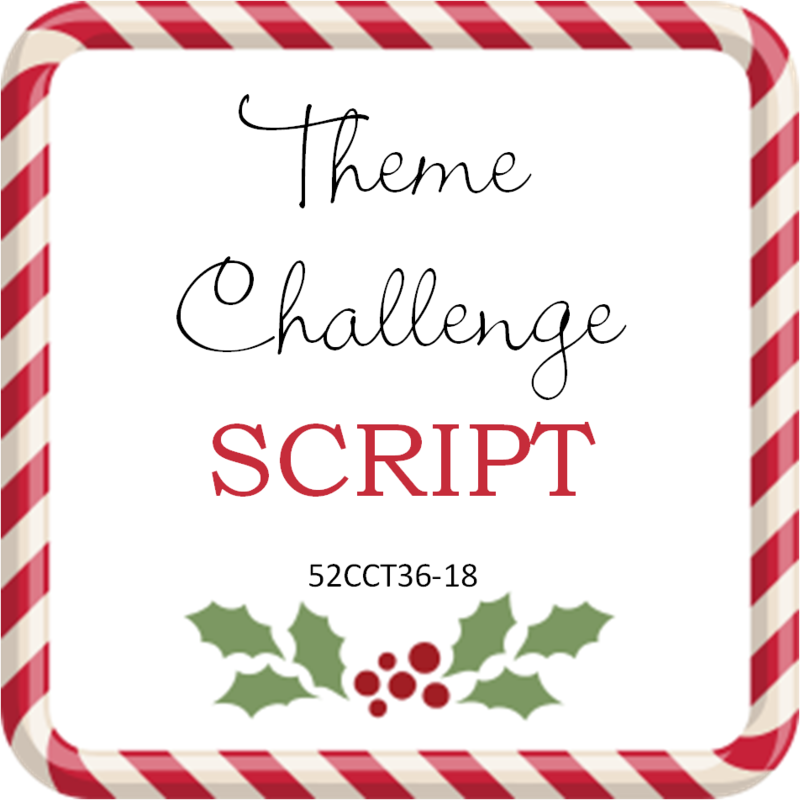 For our monthly Theme challenge at 52 Christmas Card Throwdown, we are looking for a card using Script. I made my card using a Frostville Die by Memory Box and Sue Wilson Christmas Dies – Festive Collection Let It Snow. This was a quick and simple card to make taking less than 10 minutes. The gold snowflake is an embellishment from my stash. This week at Craftyhazelnut’s Christmas Challenge we are looking for a Christmas project that doesn’t use a stamp or digital image. For my card, I used my Cricut machine and made a bendi card designed by Dreaming Tree from their Christmas Bendi Cards SVG Bundle. If you have a cutting machine and have never checked out this company you are missing a lot! I used papers and snowflakes from my stash. I added an A2 blank card to the back of the bendi card for my Christmas note (optional). The SVG cut at Dreaming Tree includes a full detailed instruction sheet, video, envelope, and this bundle has 3 separate and unique cards. Note: This card folds flat.